Movie Review - 'The Place Beyond The Pines' - Moody Melodrama Longs For Days Of Manly Men Topical and tough, the latest from Blue Valentine director Derek Cianfrance is a self-conscious drama that seems to long for a healthy dose of old-school movie macho. The story of a retired circus performer and the cop who tails him stretches across generations — but the audience might not be willing to wait that long. There are moments, as Derek Cianfrance's Blue Valentine informed us, when the barely controlled rage that is masculinity can be tempered by feelings for woman and child. But eventually the male Id will erupt, and everything will go to hell. That happens more than once in Cianfrance's new The Place Beyond the Pines, a would-be epic that shifts from character to character and story to story to show how fury passes from fathers to sons. But too much of this seething drama is devoted not to characterization but to posturing. The 'tude arrives immediately, in the long, unbroken take that opens the movie. Heavily tattooed Luke (Blue Valentine co-star Ryan Gosling) stalks from his traveling-circus trailer to a steel sphere dubbed the Cage of Death. There he joins two other stunt motorcyclists, riding tightly interlocking circles for the amusement of circus-goers who are probably hoping for a crash. Crash Luke does, but not in the Circle of Death. His downfall begins when he learns that a previous visit to the same city — it turns out to be Schenectady, N.Y. — left a temporary girlfriend pregnant. Romina (Eva Mendes) is raising the little boy with a new beau, Kofi (Mahershala Ali). But Luke insists on staying in town. Quitting the circus, the biker meets a mechanic (Ben Mendelsohn) who suggests that Luke could use his Drive-like flair for getaways to become a bank robber. Soon Luke is showering his baby son, Jason, with gifts. Luke can't keep a low profile, though. He clashes with Romina and Kofi, and becomes so reckless a bandit that his partner cuts him loose. 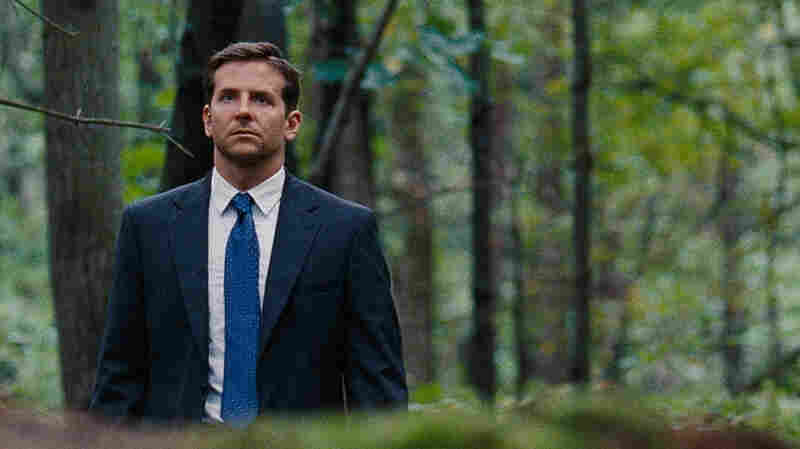 Luke's criminal career ends when he encounters a rookie policeman, Avery (Bradley Cooper). Now the focus shifts to the cop, who has a baby son, AJ, the same age as Jason. Avery is an ambitious law-school graduate out to prove he can be a better lawman than his father, a judge; his first chance to make a name as a crusader comes when several cops (including one played by Ray Liotta) ask him to abuse his evidence-room privileges. Eventually, Avery will run for New York state attorney general. Avery (Bradley Cooper), a law-school graduate and small-town lawman, hopes to use a high-profile case to advance his political ambitions. When that campaign begins, 16 years later, brutish AJ (Emory Cohen) has transferred to a new high school. There he meets Jason (Dane DeHaan), who knows nothing about his biological father. The two briefly become drug buddies, but the link between their dads will lead to conflict. So trendy that it ends with a Bon Iver tune, The Place Beyond the Pines sports all kinds of recent pop-culture signifiers, from Luke's Metallica T-shirt to AJ's wannabe gangsta-rap persona. But the film also feels nostalgic for an age when movie men were mean, with a threat in their eyes and cigarettes that, like Luke's, defied gravity as they hung from their lips. While the sitcommy Cooper can't quite wedge himself into this mold, most of the other principals do a respectable job of channeling early Marlon Brando. But the script (by Cianfrance, Ben Coccio and Darius Marder) fails to negotiate the turn from Luke to Avery. And while the AJ-Jason chapter is more thematically compatible with Luke's, psychological dramas rarely survive a 16-year jump in chronology. Not that The Place Beyond the Pines is exactly a psychological drama, but it does boast some acute scenes that lean in that direction. It's just that they're upstaged whenever a guy gets on a bike and rides with no aim other than to savor that heady old-Hollywood cocktail of testosterone and adrenaline.